Axceltek GL-100 Technology Direct. Online Computer Superstore. Axceltek GL-100. 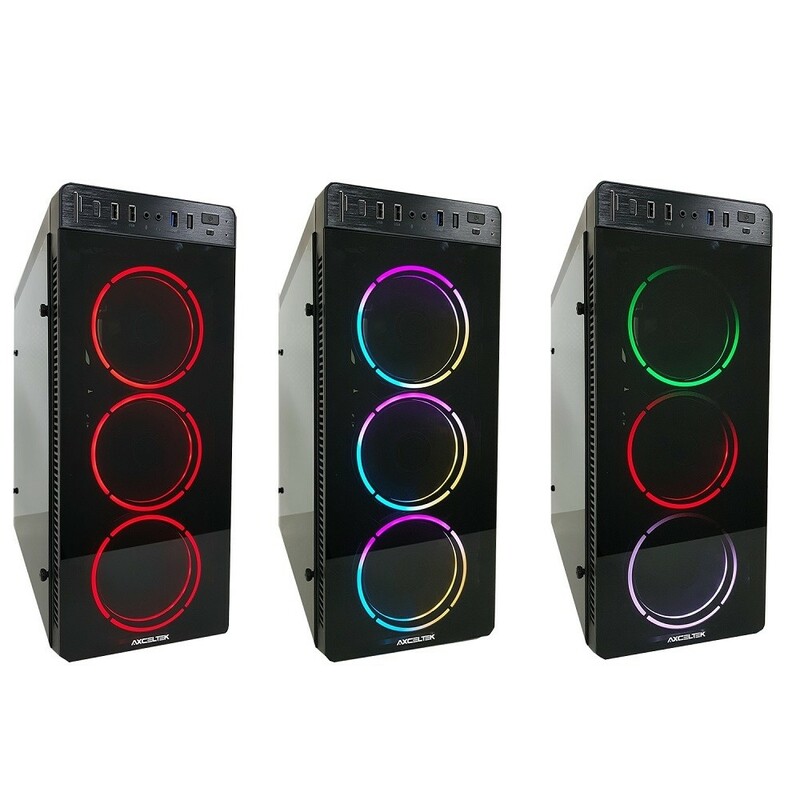 Mirror RGB gaming case. 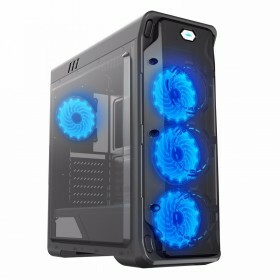 Tempered glass for Front and side. 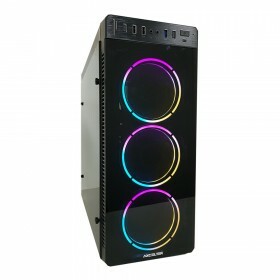 3 x RGB fans, control box for multiple lighting effects and remote control. 1 x USB 3.0, 1 x USB 2.0, front audio. The Axceltek GL-100 Mirror RGB gaming case is the perfect solution for the enthusiast system builders wanting to display their system with style! With built-in 3 x RGB case fans that is capable of displaying multiple lighting effects, remote control operation and 2 x tempered glasses. Removeable magnetic anti-dust cover for top of the case.